Shane and I have been married for a little over 5 years but we haven't had the traditional church wedding & banquet because we didn't have the means to back then. Now that we've saved enough to hold a proper wedding for ourselves, I'm finally going to walk down the aisle and meet my groom at the alter! One of the first and major things to do when planning a wedding is to settle on a venue and because it's (obviously) my first time planning a wedding, I was pretty clueless on where to start. Thankfully, with advice from a few of our relatives, we were guided into the right direction! When it came to the church venue, I left it entirely up to Shane since we were getting married in a Catholic church. With him being a Catholic and I a Christian, I hadn't the slightest inkling on the various Catholic churches in Singapore and what I should look out for so he knew better. 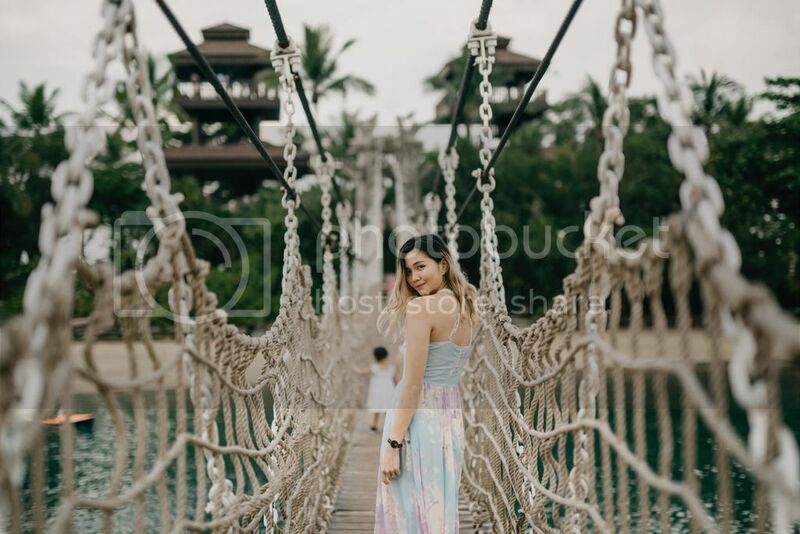 But for the wedding banquet, we searched for our ideal location together so in this blog entry, I'll be talking more on choosing a banquet venue based on my own experience and I hope this will come in handy for other brides-to-be as well! Before you get ahead of yourself and begin looking at venues, the very first thing you need to do is to plan the guest list. This will give you a rough estimate of the size of the venue you're looking for and help eliminate unsuitable venues. You may find yourself having to strike off what you thought of as your "ideal" choice because the size of your party might be too small to meet the minimum number of tables or too big for a venue which may have a maximum capacity (e.g. 15 - 25 tables). So before you start on anything, list down the total number of guests you wish to invite to avoid wasting efforts searching and viewing locations only to be disappointed when you have to forgo it later. If you're like us and don't have millions to spare, it's very important to set a budget so you don't go overboard with wedding planning. Sure, it's a once in a lifetime occasion but that doesn't mean you have to drain your bank account into negatives and end up drowning in a 100k debt after your wedding night (yes, I'm talking about learning from that couple who made the headlines). Set a realistic budget that you feel comfortable with and DO NOT count on your guests to cover your wedding expenses. My next statement will probably offend a few people but I cannot emphasise enough on how much it irks me to hear couples trying to "earn" from their wedding or even plan their wedding based on how much "ang baos" they will get back. Your budget should not be inclusive of how much your guests are going to "bao" for you. Ang baos are after all, a token of blessing to the couple and should not be seen as a "admission fee" to your big event. To put it simply - your guests don't owe you. If you want a highly glamorous wedding, by all means go ahead IF YOU CAN AFFORD IT. If not, nobody is gonna say anything even if your wedding is an intimate affair with only ten guests. It's entirely up to you and a luxurious wedding doesn't guarantee a happy marriage so yes, splurge on your wedding if you must but do it wisely. Setting a budget will help you to narrow down your search and source for venues that are within your comfortable spending range. If you're really tight on cash, consider holding it in a restaurant instead of a hotel ballroom. Restaurants are known to serve up really good dishes for your guests compared to hotels so why not? For Shane & I, we knew that even though we wanted (or in this case, I wanted) a lavish, fairytale wedding like any other girl out there, it wasn't feasible and technically, we're already married so spending a bomb on our wedding wasn't necessary - especially when we have a lot more financial commitments to think about so sticking to our budget was very very crucial to us in the whole wedding planning. We literally, could not risk going over budget. Deciding on the kind of venue you want is also very important. These days, couples are getting a lot more creative and we see a lot of unconventional weddings being held at unique venues like a beach wedding, garden wedding, yacht wedding etc. But if you're looking at an outdoor wedding, bear in mind that apart from the fact that most of these venues are quite pricey to start with, the weather in Singapore is pretty unsuitable for it (not to mention erratic) as well. The heat may cause quite a bit of a discomfort for you and your guests who are all glammed and suited up. Also, you've to prepare a plan B in the unfortunate event that it rains. Back before I delved deep into the whole wedding planning affair, I knew FOR SURE that I wanted a garden wedding (because who doesn't want such an enchanting wedding right?!) but when I started putting more thought into it, I figured that I didn't want to battle with the weather in my gown, agonise over smudging make up cause of my perspiration and getting so annoyed with the heat (because I really really detest Singapore's humidity) that I end up not enjoying my own wedding at all. Plus, I cannot imagine how intolerable it would be for Shane to have to wear a full suit while standing in the scorching sun. So in the end, I was all for holding my wedding indoors. But if you really want to have an outdoor wedding, you can always opt to have a marquee set up along with cooling fans to help beat the heat. While doing my research, I stumbled upon one venue that provides an air conditioned marquee just for weddings! I've included a link to their website below if you'd like to check it out! You probably shouldn't read TOO MUCH because everyone has different expectations and reading too many reviews may leave you confused and stressed out instead. Still, do a brief research on your choice of venues so you have a rough idea of what to expect. Through reviews from other couples, you may also acquire details of the venue that you might have previously overlooked and even come to know of the venue's background and history that may not settle comfortably with you. (Not mentioning names here but during my research, I noticed a certain five-star hotel offering jaw-dropping prices for it's wedding banquet compared to other five-star hotels. I later found out that the probable reason behind their rather low pricing is because of a past incident which has stained their reputation. Years back, a groom fell to his death at the hotel on the night of the wedding and months later, the widowed bride committed suicide because she couldn't get over his death). So yeah, while some might be totally okay with this news, others might see it as a taboo so reading reviews gives you a really good insight on stuff that you might not have known. Most, if not all hotels and wedding venues offer a package at a set price. This may include things like free parking for your guests, complimentary wedding invitations for 70% of your guaranteed guest list, corkage waiver, free 30L barrel of beer etc. & while some venues may offer a cheaper package price, it may also mean that they're shortchanging you on the things they have to offer. So you really got to do your homework and see which venue offers the best value for money. Before you go down to view the location, ask them to send you their latest package brochure so you can pick the best few out of the lot instead of tirelessly viewing venue to venue and then finding out that it actually isn't that worth it. Believe me, as exciting as it is, viewing venues can also be quite tedious so you'll want to narrow down your search as much as possible instead of running around like a headless chicken. During the early days of planning our wedding, I was really enthusiastic about holding it in CHIJMES because it makes such a picture perfect venue in the all white cathedral but when I saw the package they had to offer and then compared it with hotels that were similarly priced, it was obvious that CHIJMES was seriously lacking in their package. So you're really just paying for a (very) pretty venue (and the subject of envy to many). You may also find yourself having to come up with even more money because of the lack of complimentary throw-ins (e.g. buy an extra barrel of beer, pay for wedding invitations etc.). It's give and take so you have to decide on what you really want and what's worth it to you. This one should be a no-brainer. Before you call or email any of your shortlisted venues, make sure you've set the wedding date! Because the first thing they'll ask you is WHEN are you planning to have your wedding. & for obvious reasons - they will need to check on the availability of the venue on your preferred date before they can proceed with further discussion (No vacancy still talk for what right?). It's also important that you book your wedding venue at least 9 months in advance so you won't be disappointed - especially when it comes to auspicious dates, weekends and popular venues. You don't want to be stressing over the venue last minute when everywhere is completely booked! (Shane and I shortlisted and called the respective venues to check for availability more than a year beforehand but even then, we were disappointed multiple times because a lot of the venues we wanted were already taken up!) So be sure to enquire and book your wedding venue early or you might have troubles searching in the later days! This is obviously the most fun (and like I mentioned, taxing) part of choosing a venue - going down to view it and literally picture having your wedding there! Make sure you go down to view the location before making the hasty decision to place the deposit because you really cannot believe pictures - especially the professionally photographed ones shown on their website. You need to go down to have a feel of the place itself and actually SEE it for yourself. It may look big and luxurious in pictures but when you're there, you may actually find it smaller or older than it looks or vice versa. You know, it's like choosing a wedding gown when you step into the venue it should just feel right to you. This may seem insignificant to you now but do take note of the service of the banquet manager/sales representative when you're there because your entire wedding will be in their hands and if the service is bad right from the start, then you might want to reconsider your options. During the day of the wedding, the last thing you need/want is to worry about how it running smoothly because of the incompetency of the banquet staff. Find one that makes you feel secure and comfortable with leaving the whole banquet process in their hands. Rude or nonchalant service staff should be a huge warning sign that you're only going to be inviting trouble come the big day. So that's it for now! 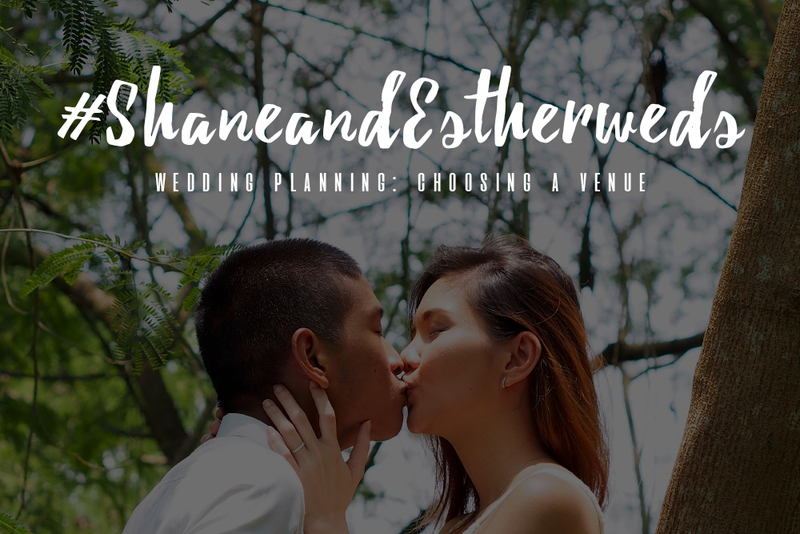 Like I mentioned, for my next wedding entry, I'll be sharing more on how the venue viewing went for both Shane and I and discuss more in-depth about the things we looked out for to aid in our decision-making so until then, I hope this was useful! I have been a wedding vender (Photographer) in the area for twenty five years and I have never been treated so well by a wedding venue like I was at this place. I am usually taken care of as a "last on the list" at venues, which I understand where the bride, groom and guest come first but the entire staff from the minute I walked in the Malibu wedding venues door treated me so well.